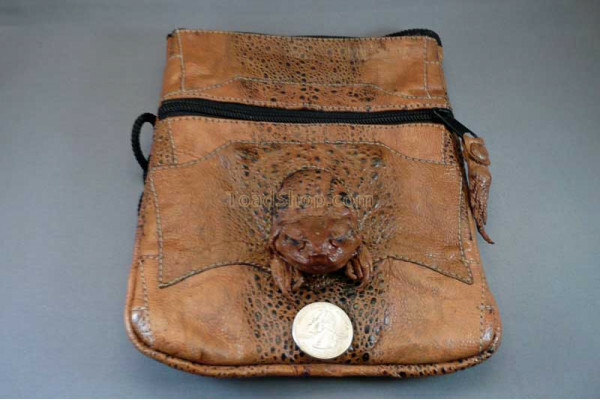 Australian Cane Toad rectangular shoulder bag with one toad head. 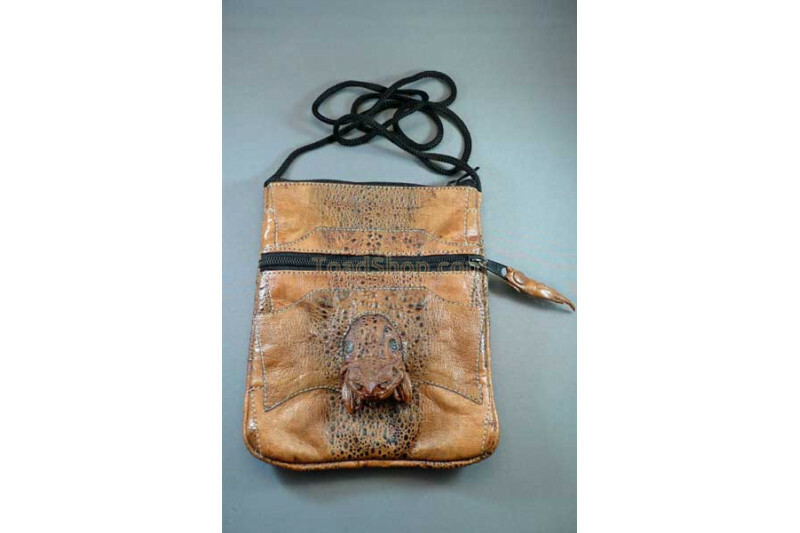 This shoulder bag measures approximately 7.5"H x 6"W (19cm x 15cm) and is made with genuine Australian Cane Toad leather. 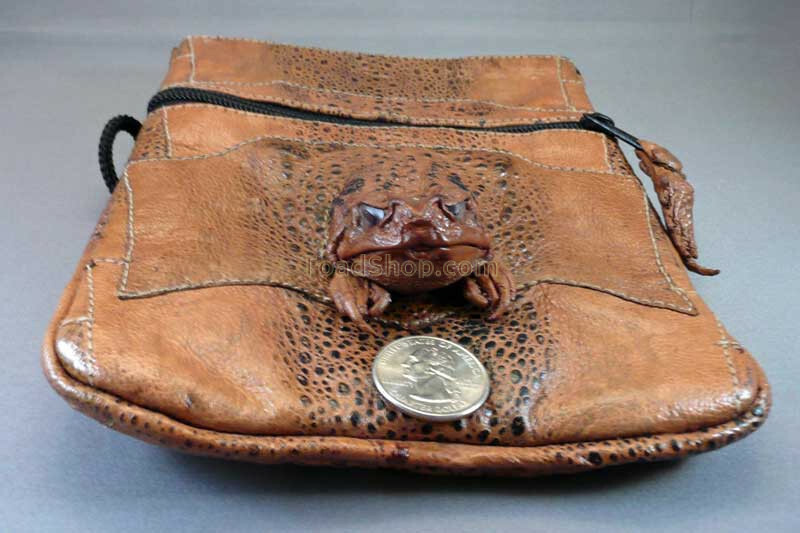 It features one toad head and a toad foot for the zipper pull. There is an open slot on the back side of the bag and a zippered compartment on the front. 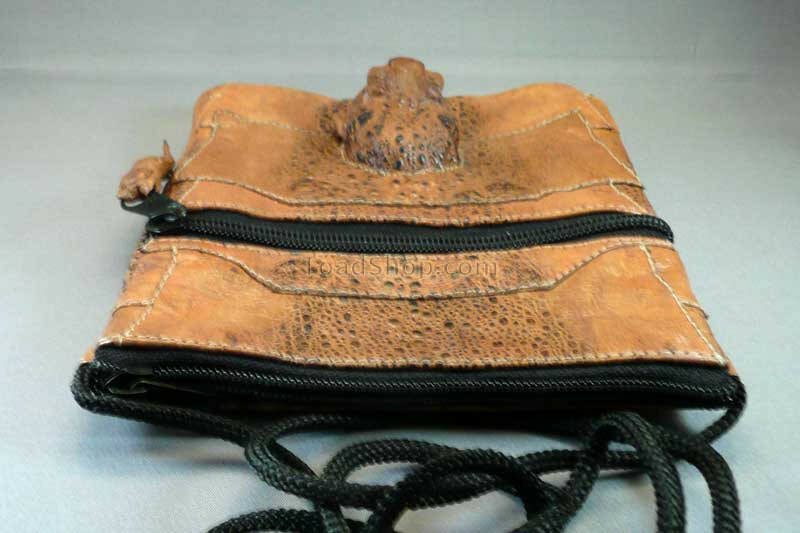 Both the main compartment and the side compartments are lined with smooth black pigskin. 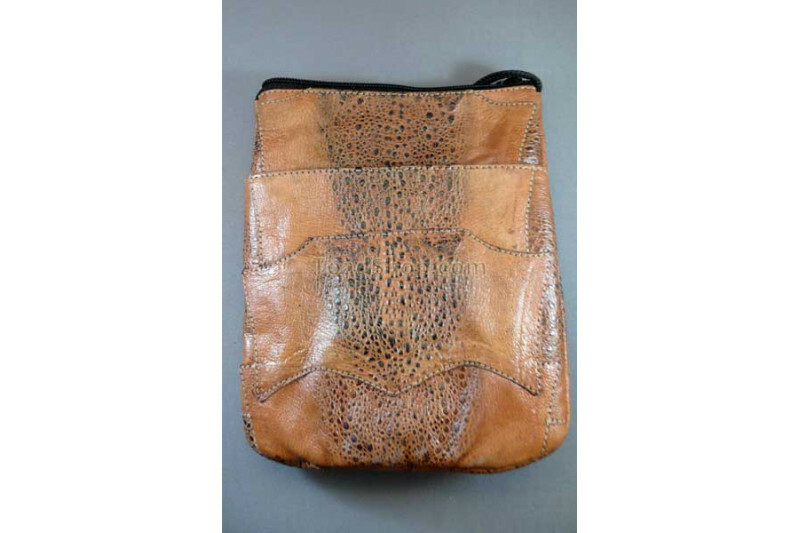 This is a beautiful leather bag that will last for years. It will certainly draw attention to you with the unusual styling.